Is it time to bring the Easter Jeep Safari to Europe? Easter is a time for chocolate eggs, bunnies and resurrection. That last element may well be playing on Jeep’s mind as it gets together for its yearly pow-wow in the Moab Desert. 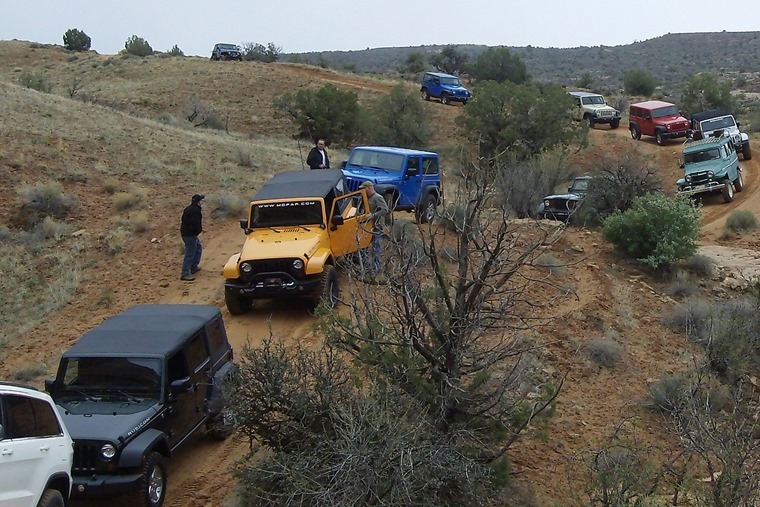 The annual Easter Jeep Safari takes place in Moab, Utah, and is a chance for the faithful to gather in praise of the American icon. 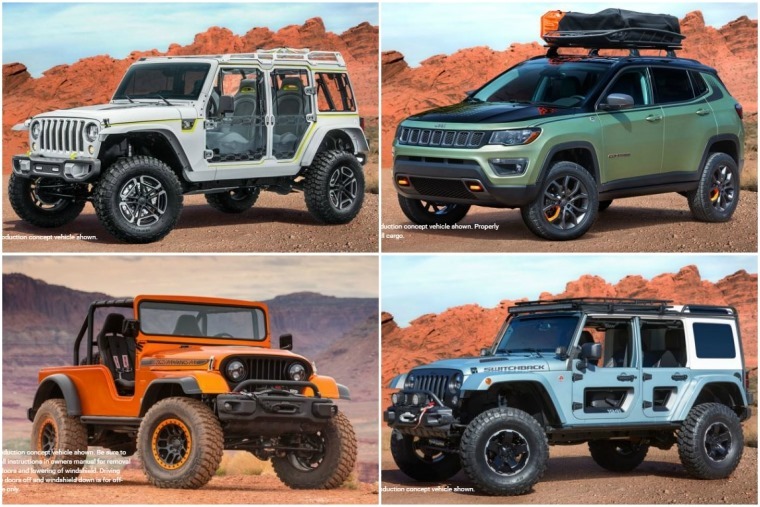 Now in its 52nd year, it’s also become an important opportunity for Jeep to try out some of its wilder ideas and concepts on the people most likely to buy them. We’re not talking about some new paint schemes or a different cloth pattern on the seats. The Moab shindig is where the weird and wonderful of Jeep’s designers’ imaginations get a chance to roam free in the dry air of the desert. For 2018, there are no fewer than seven intriguing custom-built concepts for visitors to ogle when they’re not out pitching their own Wranglers, Cherokees and Commanders against the toughest terrain the State of Utah has to offer. Among the most notable of this magnificent seven are the 4SPEED, Jeepster and Wagoneer Roadtrip, the last of these being an unashamed retro machine based on a 1965 model but with updated mechanicals. It’s very much in the current mould of resto-modding and shows Jeep has a very long history when it comes to more upmarket SUVs. As for the 4SPEED and Jeepster, they’re based on the current Wrangler and offer different takes on the theme. The 4SPEED is a lightweight concept designed to tread lightly off-road and uses a turbocharged 2.0-litre engine where most would expect a hulking great V8. That role is left to the Jeepster that’s based on the present Wrangler Rubicon with its 3.6-litre V6. Now, all of this is very entertaining and indulgent, albeit with the serious side of some brand-building on the part of Jeep over in the USA. But what about this side of the Atlantic? Surely, this is a chance for Jeep to step in as the authentic choice of off-roaders and anyone seeking a real multi-purpose workhorse? 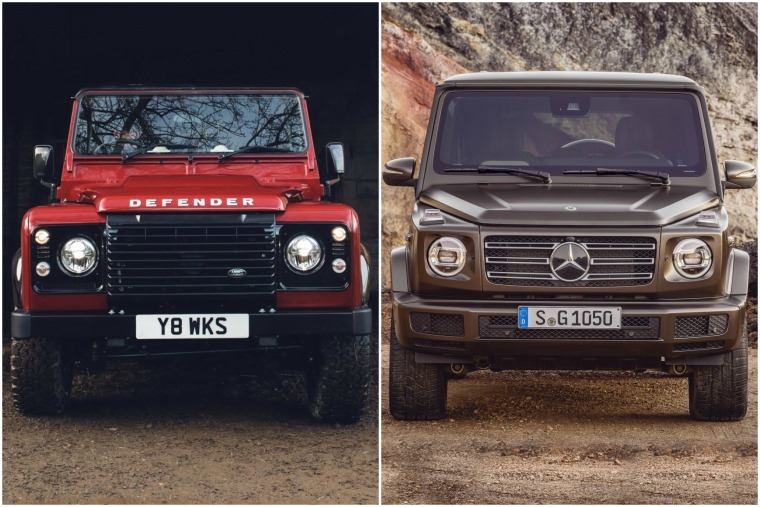 After all, Land Rover has been without the Defender now since the tail end of 2016 and Mercedes’ new G-Class is going to be far from cheap. Beyond that, the Toyota Land Cruiser and Mitsubishi Shogun have their fans but neither sells in any great quantity. So, there is a niche for a rufty-tufty 4x4 with looks that remind you of its origins. Yet, Jeep’s sales in 2017 were less than half that of the previous year. Why? Well, the backlash against diesel-powered cars plays a small part in that, but that cannot be the full story. More can be explained by the increasing number of SUVs and crossovers from other brands all looking to take a share of the seemingly ever-expanding market for these vehicles. But that shouldn’t be a reason for Jeep to become marginalised. If anything, it should propel the American brand to the heart of the category. Okay, not everyone wants a Wrangler to go deep into the wilds, but that credibility should be enough to convince plenty to choose a Jeep in the same way so many pick a Discovery Sport, Evoque or Velar because they know Land Rover engineers great off-roaders. Perhaps there is still some of that residual feeling that American cars are not as well built as those from Europe and that holds Jeep back? But Jeep is part of the FCA group that includes Fiat and, while Fiat sales were down in the same period, it wasn’t as big a drop and is more down to the diesel downturn. On top of that, Jeeps are well made, reliable and, on the whole, decent to drive. 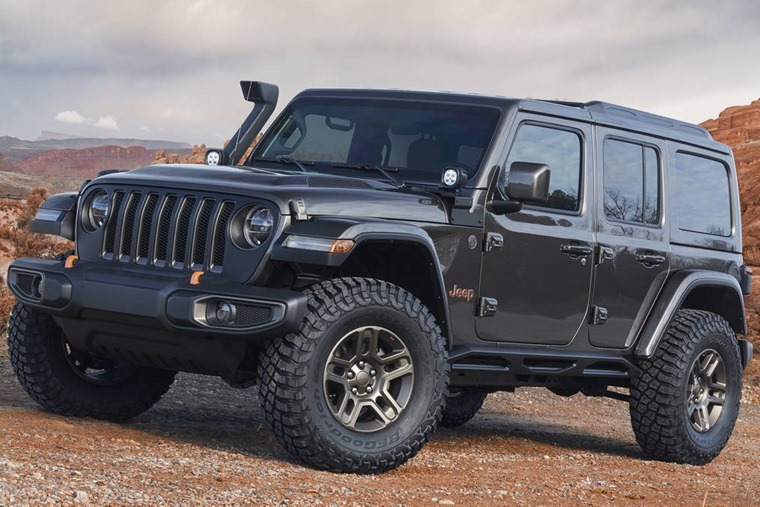 The Wrangler may be a little crude compared to a Range Rover, but it’s a damn site cheaper, just as iconic and you can go anywhere in this particular Jeep that you care to point its wheels. Land Rover was still selling a decent number of Defenders when it went off sale due to being unable to meet impending regulations. So, Jeep should have been poised to step in and take those sales, which would not only have staved off its sales decline but boosted its numbers. 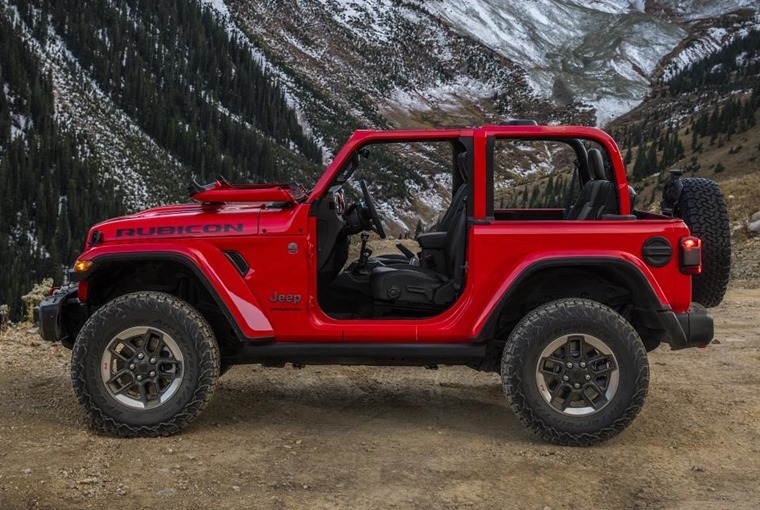 It has the range of cars, the driving ability in its line-up and there’s something every bit as cool about a Wrangler as there is a Defender. As an added bonus, the Wrangler is a whole heap more comfortable and refined than a Defender. A commercialised version of the Wrangler would play very well and bring down the price of this range to a more acceptable point. Yet that cost should not worry those who were prepared to pay for a fully loaded Defender in the last few years of that car’s life. In the USA, a Wrangler can be yours from $24,000, yet in the UK the range costs from £36,740. That’s the big stumbling block that not even a serious off-roader can hurdle easily. As for the rest of the Jeep range, there are simply better rivals in each sector. This is why Jeep needs to import its Easter Safari idea to the UK to drum up awareness and interest in its brand. It would be a chance to bang its drum, show off its capability and keep the faithful few happy. As well as this, a UK-based event could showcase a couple of concepts aimed at the European market. 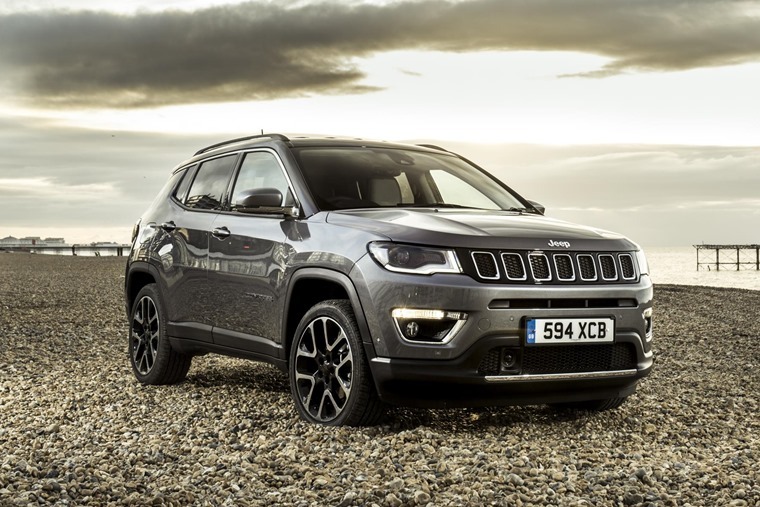 Speak to fans of off-roaders and they happily acknowledge Jeep is a big name in the business, yet few are willing to spend their own money on one or lease one of the crossover models for more humdrum driving duties. This is where Jeep is seriously missing a trick by not making more of its heritage and skills on this side of the pond. We’d love to see Jeep showing off its design ideas to a European audience, especially as Land Rover is working on the Defender replacement as we speak. A proper ding-dong fight between these two icons can only be good for the breed and could only help Jeep resurrect its image in the UK.